For centuries, native Australian aborigines traditionally used eucalyptus sap for body pains, sinus congestion, fever, and colds. 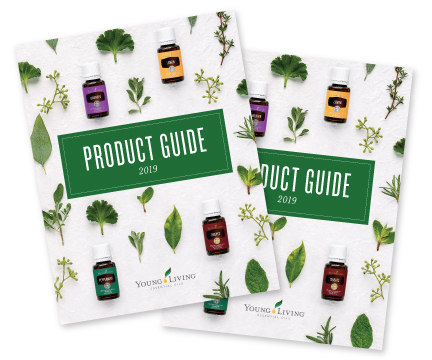 OF THE FIVE EUCALYPTUS ESSENTIAL OILS Young Living offers, the most popular are Eucalyptus globulus and Eucalyptus radiata. These two oils smell most like traditional eucalyptus oils in vapor rubs. These oils also have a high percentage of 1,8 cineole (eucalyptol). E. globulus has up to 80 percent eucalyptol and E. radiata can contain up to 75 percent of the active ingredient. Eucalyptus polybractea also has high levels yet is low in a compound called isovaleric aldehyde, which can irritate mucus membranes. Interestingly, Eucalyptus dives, (considered the strongest) has large amounts of eucalyptol and also high amounts of piperitone, which gives it a slight pepperminty and citrus scent making it perfect for diffusing into your breathing air. Most recently, Gary Young rediscovered a eucalyptus species in Ecuador he named Eucalyptus Blue.™ and used in cases of chronic cough. Eucalyptus Blue has significant amounts of eucalyptol, plus high levels of alpha pinene. In fact, because of its levels of alpha-pinene, Eucalyptus Blue can be considered a natural alternative to our R.C. blend. As a general guideline, Eucalyptus globulus and Eucalyptus dives are best applied topically or on the reflex points of the feet. While Eucalyptus radiata, Eucalyptus polybractea, and Eucalyptus Blue are all three more suitable for diffusing and inhalation. Still can’t decide? Breathe Again™ Essential Oil Roll-On is a convenient and powerful punch of four eucalyptus essential oils; including Eucalyptus Blue. A perfect support in respiratory health and invigorating the senses!